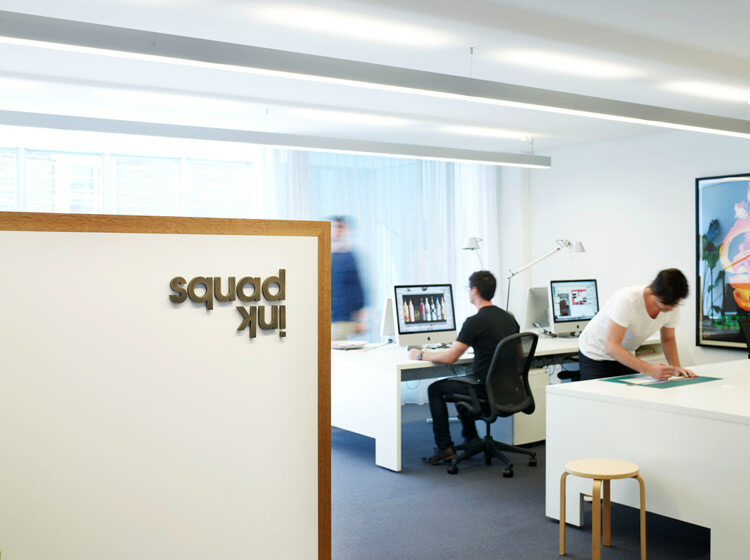 Earlier this year we were enlisted to help creative branding agency Squad Ink, who share our ‘hood, to make-over their newly purchased studio in Potts Point. 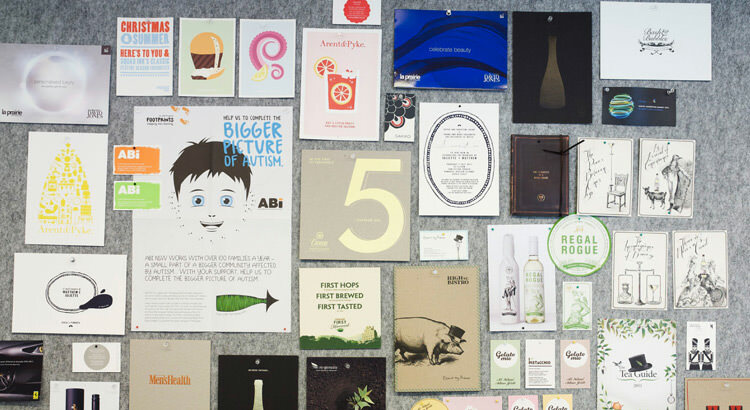 Squad Ink is a multi-disciplinary, full-service design and branding studio led by creative directors (and twin brothers) Matthew and Terry Squadrito. Oh yes, and we should probably point out that Matthew is the other half of our own Juliette Arent! Squad Ink is quirky, cheeky, clever and colourful – and this is clear as day in their work. 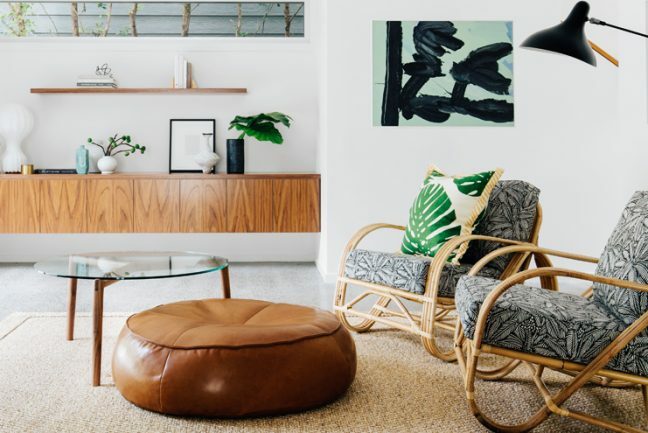 And it was important that these traits were also evident in their workspace where all the magic happens, and where their clients get that all important first impression. 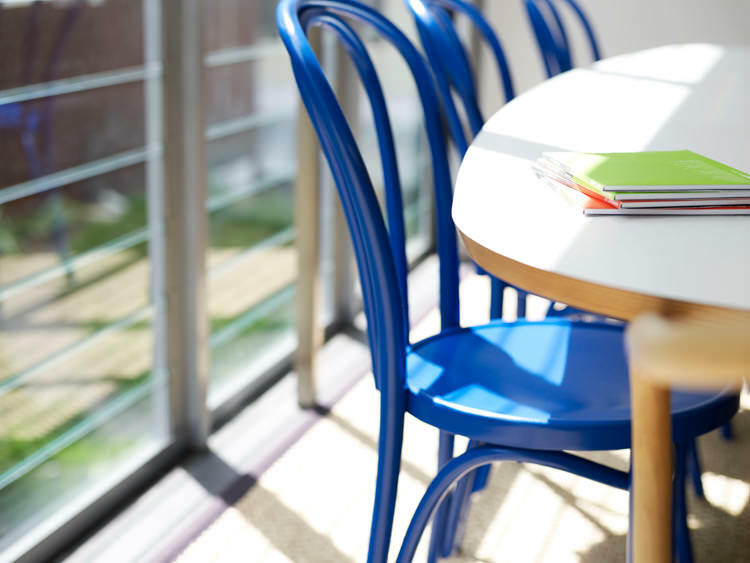 Blessed with loads of natural sunlight, fresh air, and a green outlook – the studio was a gorgeous space to design. 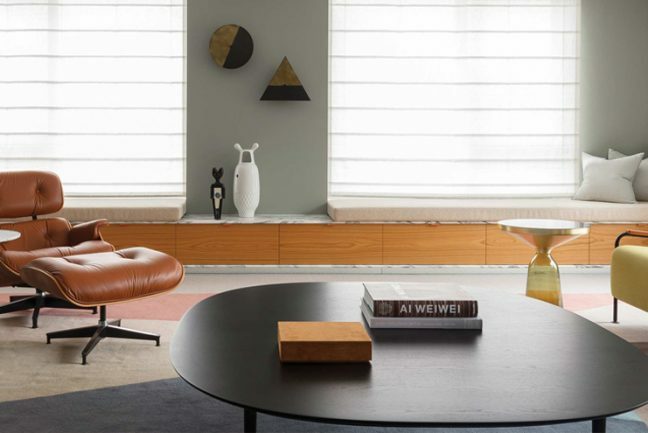 An Eames table was selected for the meeting room, with a dramatic black Tolomeo floor lamp for lighting. 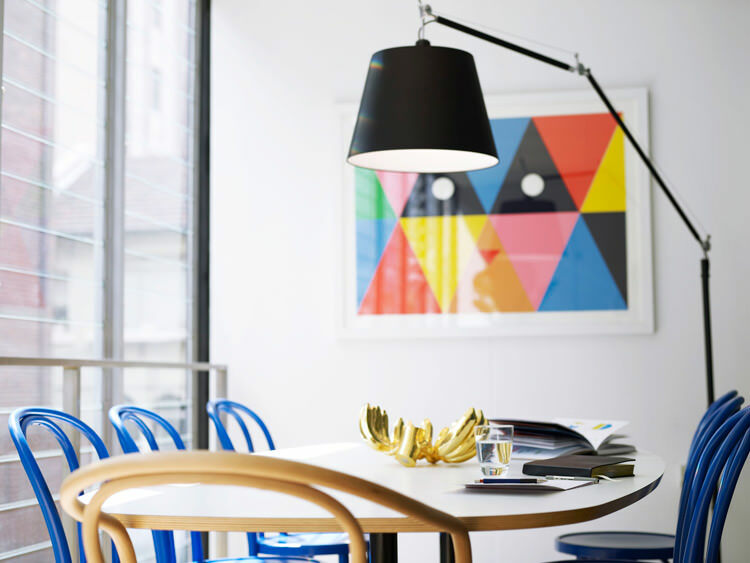 But what really packs a punch in this scheme is the ‘Mondrian Blue’ bentwood chairs from our friends at Thonet. Definitely not backwards in coming forwards, those chairs! The artwork, ‘Laser Eyes’ is an original screen print from ‘FriendsWithYou‘ art collaborators. It was Squad Ink’s first art purchase when they started the business. They are huge fans of colour and geometric patterns and there’s a common playful touch with all of FriendsWithYou works that they love. The Golden Bananas by Harry Allen were a gift from their copywriter, Andy Georgiou of Copy&Co and Mark Ward of Bureau Six. They suspect there might be some hidden messaging behind this gift but it is a great addition to the golden pig (see below). 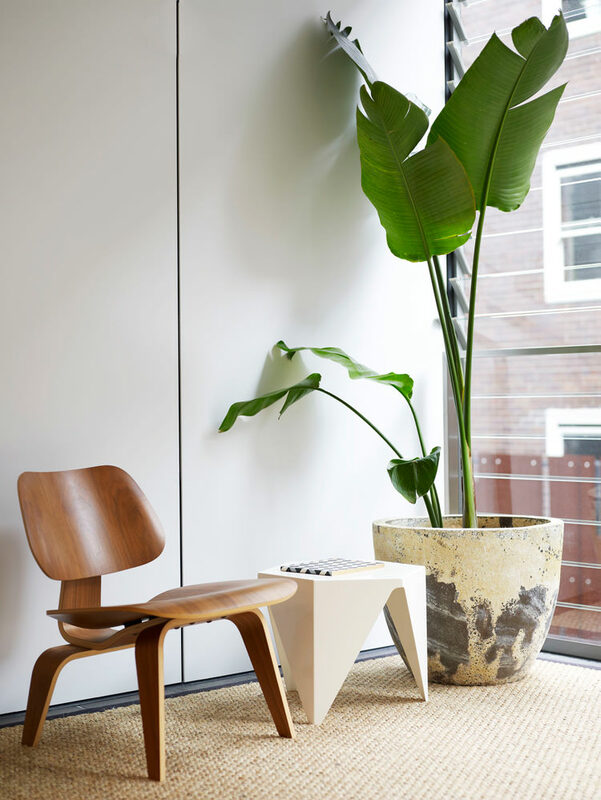 A little studio ‘moment’ features an Eames LCW chair, a Prismatic table by Isamu Noguchi and a potted Strelitzia. Simple, and perfect. 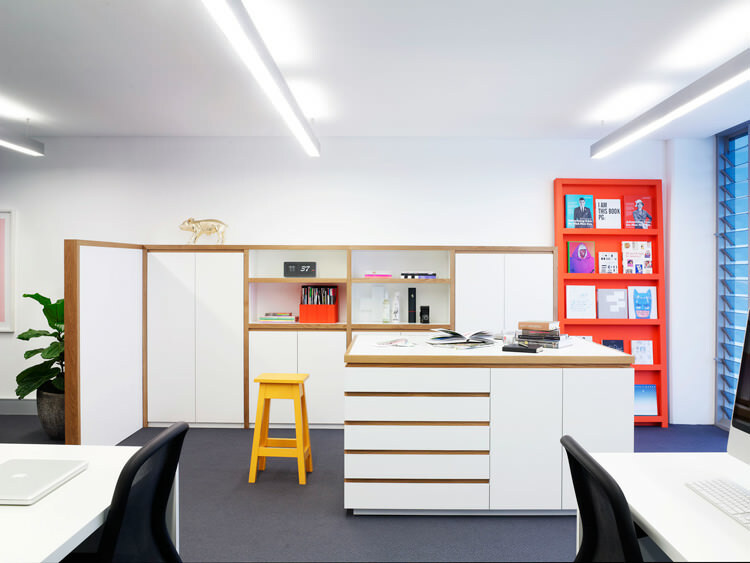 Our considered custom joinery creates a functional space for both storage and shared working, in particular the large island which is perfect for creative brainstorming. The custom bookshelf finished in Dulux ‘Tingle’ is a great way to display the library, and makes a dramatic statement. 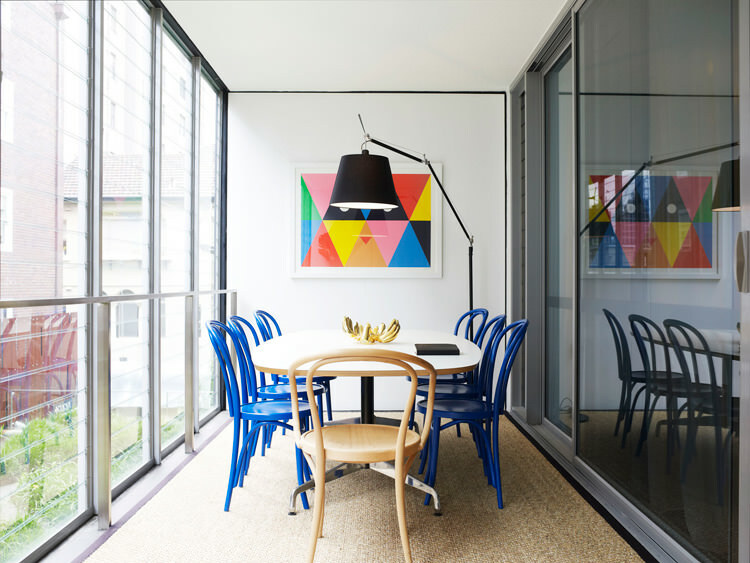 The yellow stool from Mark Tuckey rounds out the colour palette. Silver Tolomeo desk lamps provide important task lighting for the workstations, while the custom bronze Squad Ink logo signage makes a slick statement at the entrance. 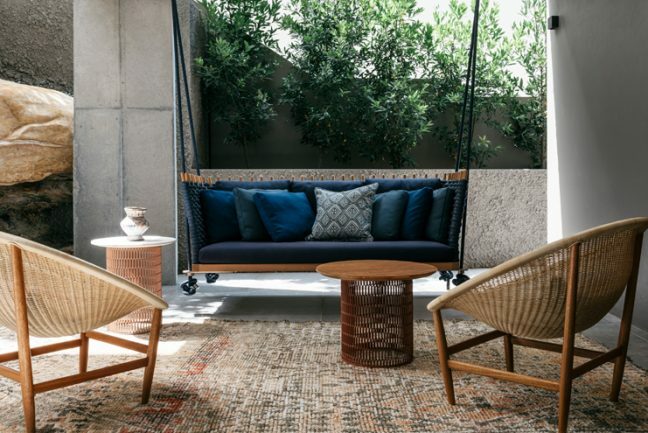 Ooh, I love this space. The Friends With You Print is perfect! 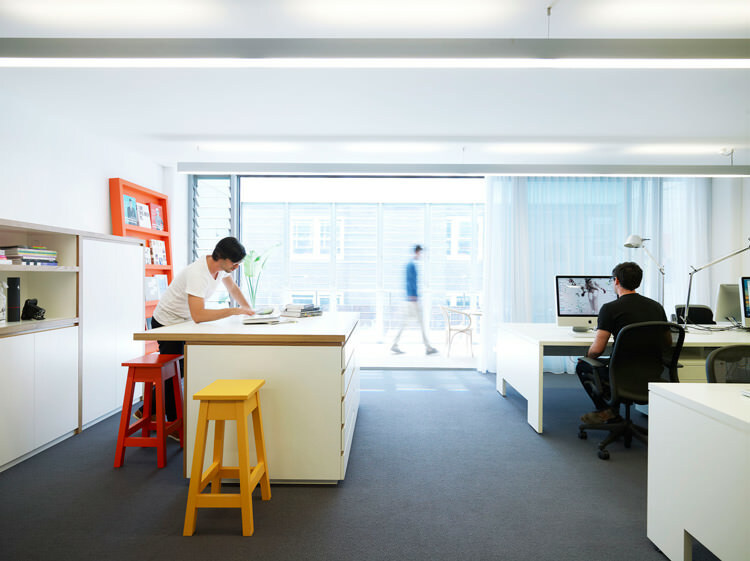 If we could all have beautiful, exciting work spaces like this one! Love your work!